By Reverend Luke Dougherty, O.S.B. Tending the Soul is helpful as part of one’s spiritual journey with the guidance of a spiritual director. Designed for those who seek meaningful answers and understanding to their life questions and challenges. 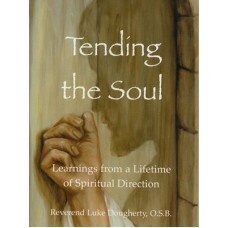 Father Luke Dougherty OSB was a founding member of the Prince of Peace Abbey in Oceanside, CA. 104 pgs.